The entire team at SF Marketing has been great to us over the years we've worked together and we wanted to show them how much we appreciate them by building them the best board we could for their criteria. 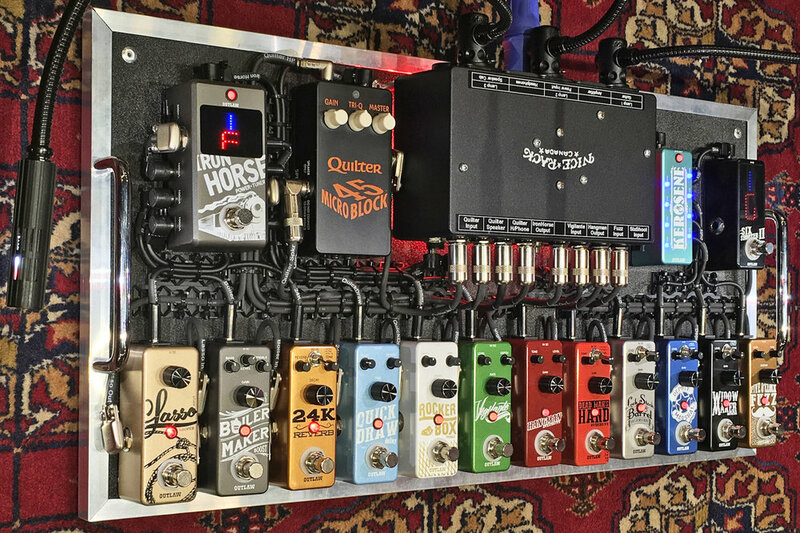 This pedalboard will be visiting retailers, trade shows and guitar shows. The first stop will be at this weekend's 7th Annual Brooklyn Stompbox Exhibit hosted by the fine folks at Main Drag Music, a truly one of a kind music instrument store. Headphone level use is a factor of some shows. With that in mind we incorporated an Quilter MicroBlock 45 amplifier into the pedalboard that can drive a set of headphones and / or a speaker cabinet to consistently provide the best quality experience for the user. In the Nice Rack Canada System In & Out Connections Box we installed a switching circuit that will route audio directly to outboard amplifier or to the on board Micro Amplifier, along with switching power for the Micro Amplifier at the same time. To brighten the display we also added some LittleLite LED Task Lamps and a custom power supply to run them. 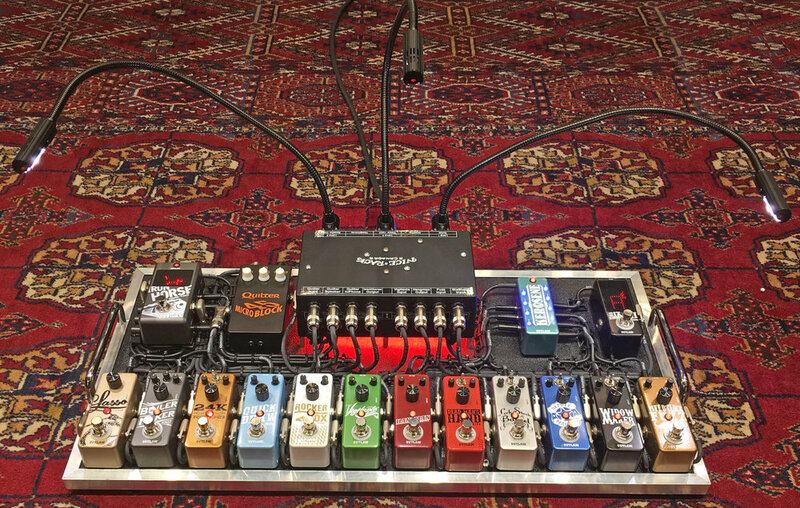 Regardless of what your criteria is for a pedalboard or rack system we aim to exceed the mark and build as much value as possible into your system.